Originally a medieval Cistercian monastery, Newbattle Abbey is located a short distance from Edinburgh city centre. It offers 125 acres of peaceful parkland seclusion on the banks of the River Esk. Available for group bookings. Newbattle Abbey, Dalkeith, Scotland, Sleeps 44 with 37 bedrooms. Newbattle Abbey dates back to the 12th century and the main building has stunning function rooms available for residential conferences and team away days. It is also the perfect dramatic location for your fully catered celebrations or get togethers with family or friends. 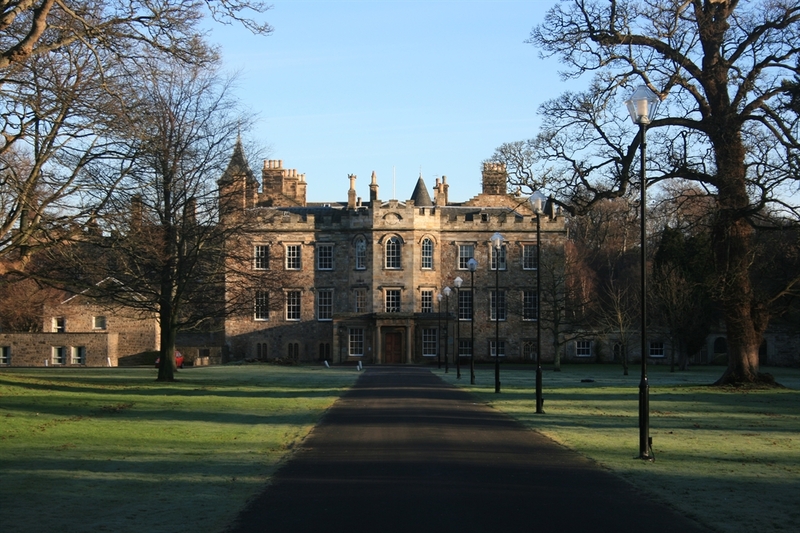 Newbattle Abbey is a small adult residential college, with only around 40 students. There are 37 year-round en suite campus rooms set aside for external groups to book. The accommodation is in a modern campus block, so is comfortable and has free Wi-Fi. There are 30 single rooms and 7 twin rooms. Extensive free coach and car parking is available on site. There are no self catering facilities - meals can be catered, from simple meals to lavish formal occasions. 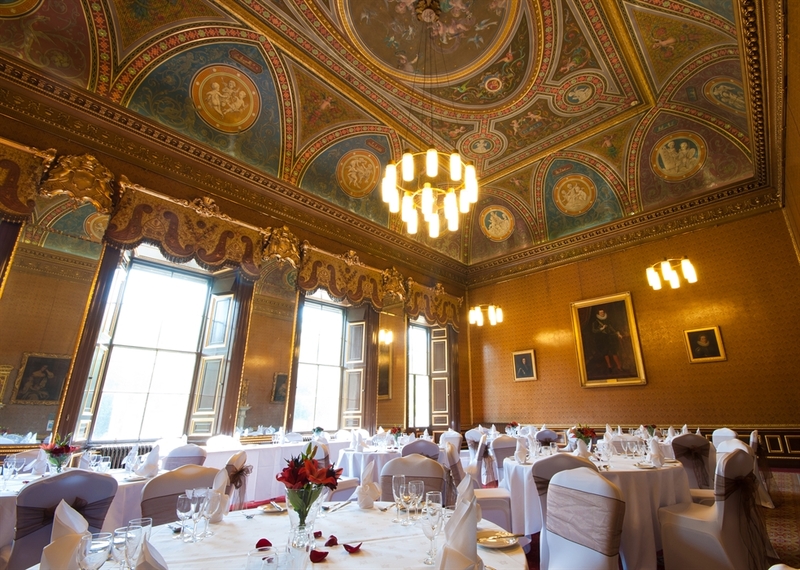 In the main building there are six magnificent function rooms, all with views of the surrounding grounds and showcasing the finest craftsmanship. The grand Drawing Room’s ornate fresco ceiling is a breath-taking example of the work of Edinburgh architect, Thomas Bonnar. Scotland’s future was shaped at the Abbey when the Declaration of Abroath was drafted here. Every room holds a story: the font in the Chapel is believed to have been used to baptise Mary Queen of Scots; the secret staircase; and the vaulted Crypt. Private guided tours can be arranged for your guests. With 125 acres of ancient woodland and parkland, there is space for exploring and walking and leisure. For your celebration, there are several locations suitable for marquees for up to 200 guests. A flexible location for filming, Newbattle Abbey also has group accommodation available for film crews. The estate grounds can also be used for a wide range of team building activities.